Savor summer with these two picnic favorites! Beet, Arugula and Walnut Sandwich and Three Bean Farro Salad. Plus, enter to win the giveaway below. 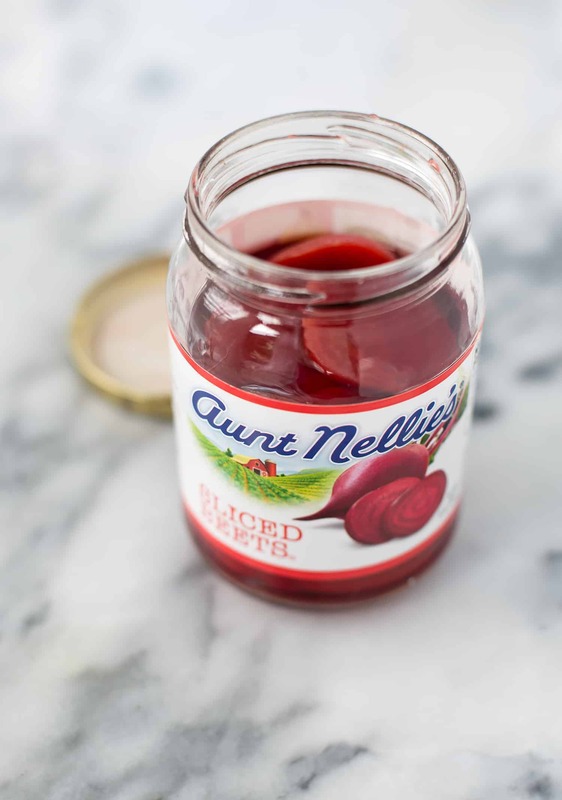 This post is sponsored by Aunt Nellie’s and READ foods. All opinions are my own. Thanks for supporting the brands that make DK possible. 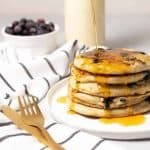 I’ve been slowly making my way through our summer to-do list: see a show at the MUNY, grab cocktails on the patio at Olio, enjoy homemade ice cream as often as possible, and enjoy a lazy afternoon picnic on Art Hill. Ever since moving to STL, Art Hill has become our go-to spot. Just like it sounds, it’s a giant hill in front of the art museum, overlooking the water in expansive Forrest Park. It’s a sprawling grassy area that just begs for an oversize blanket, smuggled container of wine and assortment of picnic foods. Which, this summer has been a combination of these two items: A juicy beet, arugula and whipped feta sandwich and three bean farro salad. Easy to assemble and great for travel, they are the perfect items to tuck into my bag and head to Art Hill to enjoy. I’m a sucker for beets, which shouldn’t come as any surprise since I practically swoon at most vegetables. But, the fact that BL also loves beets means that I get to put them in just about everything: sandwiches, avocado toast, salads and hummus. This sandwich highlights beets earthy flavor, with zero prep work required. With all my beet love, I don’t always have time to clean, roast and let cool. That’s where Aunt Nellie’s comes in. With whole, sliced and pickled varieties available, I can get my beet fix whenever, wherever. Which, comes in handy for this vegetarian sandwich. 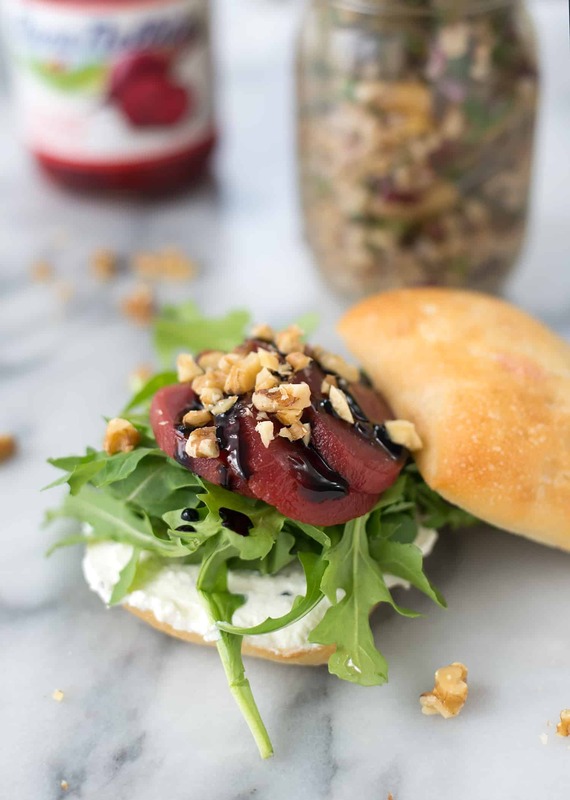 Crusty bread, creamy, salty whipped feta, peppery arugula, sliced beets, balsamic reduction and crunchy walnuts. It’s a lot of flavor and texture in one simple sandwich. 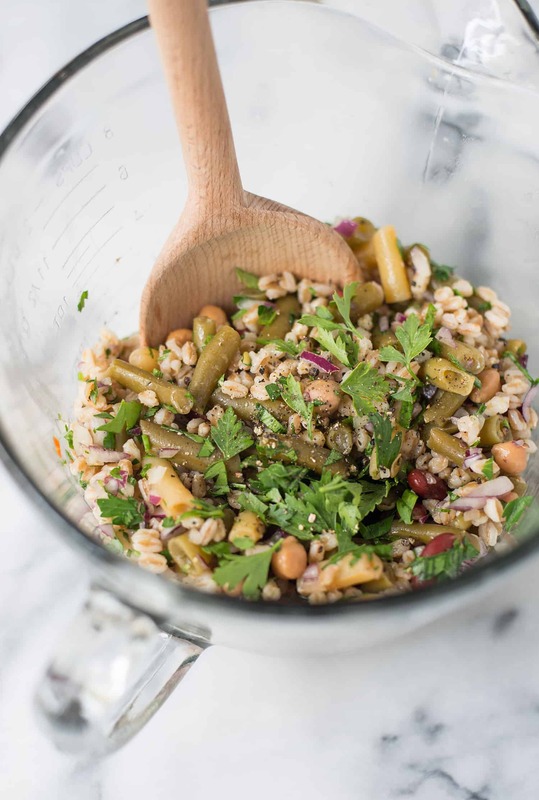 Since I’ve been on a huge farro kick lately (see here and here), I knew I wanted to doctor up a can of READ’s 3 bean salad with some farro and punch of fresh herbs. 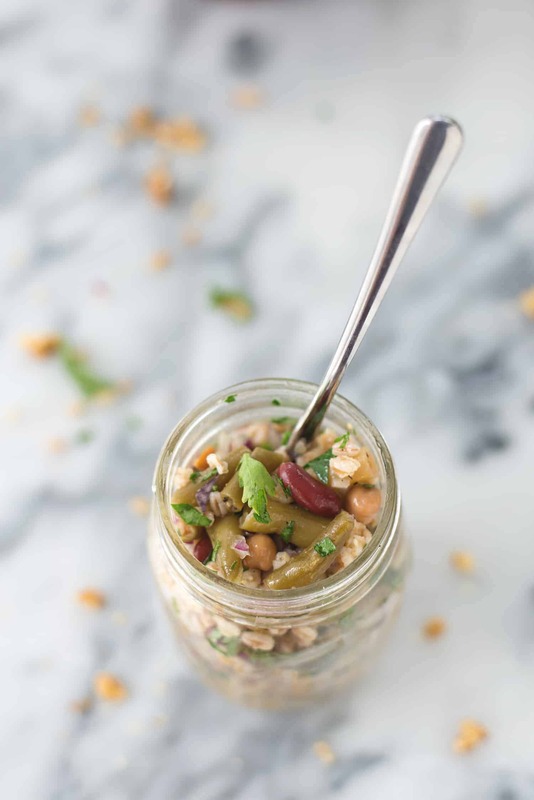 Just a few simple ingredients transforms canned bean salad into a bright and fresh side dish. 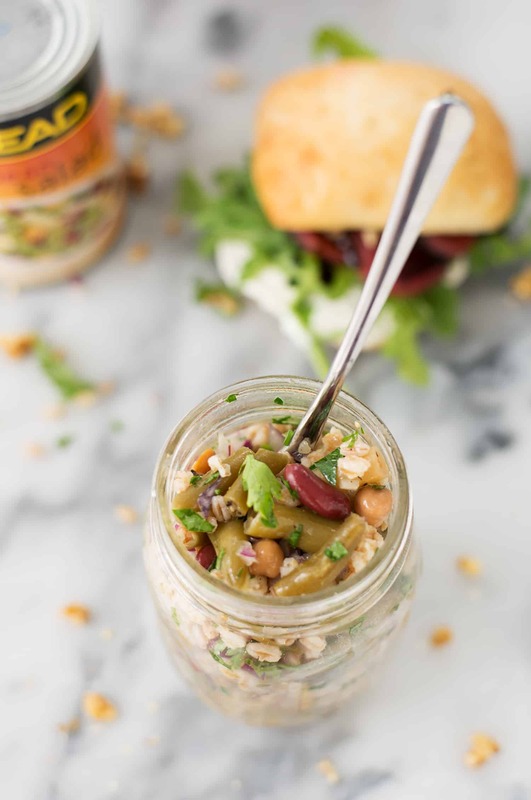 It packs really well into a mason jar, so enjoy this one for picnics and packed lunches throughout the week. 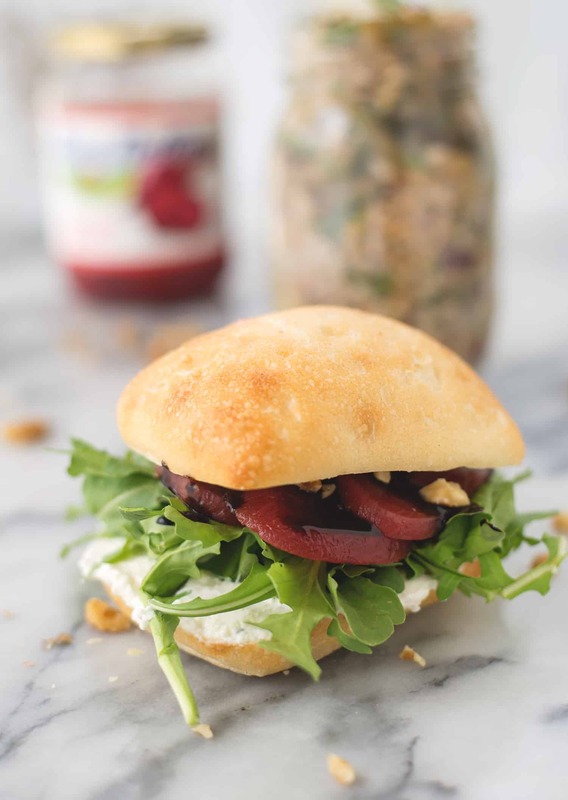 Whether you’re by the lake, at the park, or in your backyard, this sandwich and salad recipe featuring Aunt Nellie’s and READ products make it easy to focus on the beautiful weather and good company. To help you continue to savor picnic weather, they have teamed up to offer a $500 giveaway to one lucky reader! 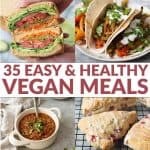 Entry is easy, simple sign up for their mailing list and share what item share which item you love using for picnics … or which product you’re most excited to try. That’s it! Contest ends September 5th, find more details here. Savor summer with these two picnic favorites! Beet, Arugula and Walnut Sandwich and Three Bean Farro Salad. Make the whipped feta: place the feta, lemon juice and cream cheese in the base of a small food processor. Puree until creamy and smooth, pushing down the mixture as needed. Spread the whipped feta on one side of the ciabatta rolls. Layer arugula, sliced beets, balsamic reduction and crushed walnuts. Season with a pinch of freshly ground pepper and salt. Make the farro salad. Place the uncooked farro and vegetable broth in a medium saucepan. Bring to a boil, cover and reduce heat to low. Cook until al dente according to package directions. Let cool. Toss the farro with the red onion, bean salad, olive oil, parsley and salt/freshly ground pepper. Season to taste, if needed.